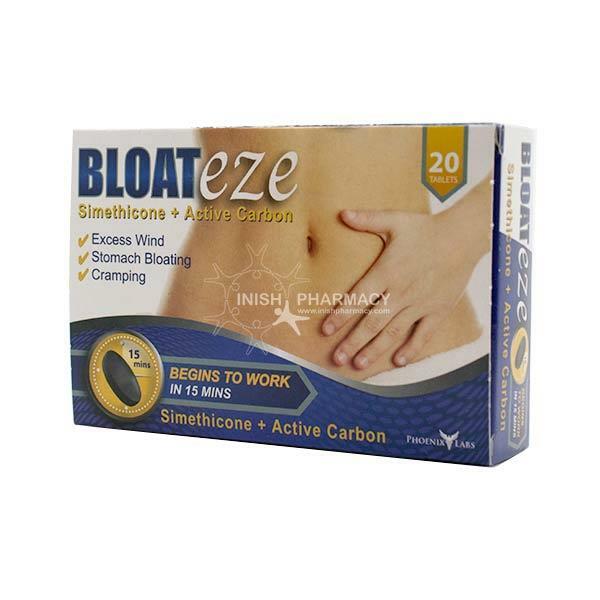 Bloateze has a dual action combination and relieves bloating, cramping and pain in the digestive system. Gets to work in the stomach 15 minutes. It is recommended to take 2 tablets twice a day after a main meal. You can take up to 4 tablets a day. The tablets should be taken with a glass of water. Each tablet contains 50mg of Simethicone and 300mg of Charcoal. Bloateze works to relieve cramps and pains while preventing flatulence. Bloateze is recommended for the treatment of symptoms connected to the build-up of gas. Bloateze gets to work quickly with the double-layer tablet releasing approximately 50% of the ingredients in the stomach within 15 minutes. The remaining 50% breaks down in the bowels within 60 minutes.